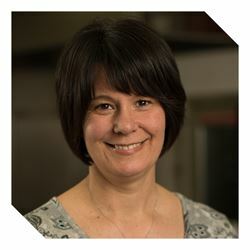 With over 20 years professional experience guiding program development and policy implementation in both the non-profit and public sectors, Julie started her journey in early childhood and joined Minneapolis Public Schools in 2006. Julie leads comprehensive student wellness activities that aim to develop healthy learners by increasing access to active living and quality food and serves on a wide range of advisory groups that promote healthy living at the state and local levels. A Minneapolis resident and parent of two MPS kids, you can often find her walking the lakes, cheering on her beloved Minnesota Vikings, or exploring any one of our beautiful MN state parks.